A few years ago…okay….almost ten years ago now, I lived a grand adventure with 4 best friends in Italy. We lived and taught English in Rome. One of them had a genius idea to keep a quotes book where we’d write down funny stuff that was said. To this day when I read it I laugh so hard I almost cry. It’s the type of stuff that would be weird, gross and completely unfunny if you weren’t actually there. Even when I read it, though, sometimes I find the memory of it fuzzy. 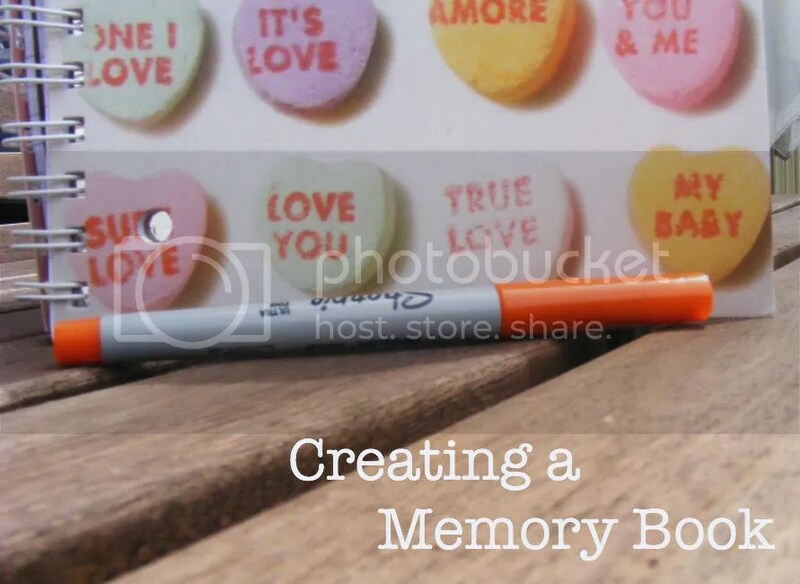 As in, I know we said it and I see it written down – some in my own handwriting – but the memory is not clear as day. I know that if it was’t written down it would be filed away somewhere in the recesses of our big brains never to be laughed over again. With my babies now becoming toddlers then becoming kids then becoming preteens (tranquilize me, please) and so on and so on, we decided we wanted to keep a journal of sorts, to write down all the funny and sweet quotes and memories that were sure to happen. Like the other day, when we gave my daughter her first lollipop, she called it a “poppilop.” It was so cute we thought we would die. We talked about it days later…. I know….we are in love. Categories: cute moments, parenting | Tags: motherhood, parenting | Permalink. 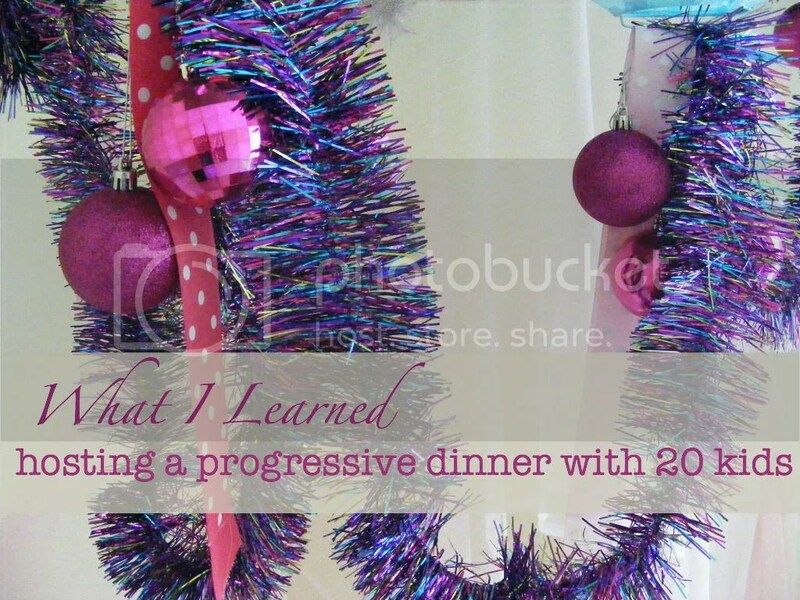 To say I hosted 50 people at our house for a Christmas Progressive Dinner would be true. Saying that almost 20 of them were small humans just makes it crazy. Particularly when our current house is a modest 3 bedroom (of which guests don’t normally congregate to eat) with a small front and back yard. It was a good ole time, though and here’s what I learned. Categories: cute moments, little girls, parenting, what i learned | Tags: parenting, what i learned | Permalink. Here I am again, talking about things medically related. This winter we had quite a few visits to the doctor. But, this was a special episode. My – then – 18 month old baby girl had us convinced she had a UTI. She was acting all weird and she’d say peepee and then smack her diaper and scrunch her face as though in pain. This went on for a day or so until I, bright mother that I am, put two and two together. So, instead of simply heading to the doctor and waiting for him to tell me “it’s viral” and send me home, I decided I’d get a urine sample so he could do the test right there. We thought it could possibly save us from having to do the other UTI test that will go unnamed as it has given us horrible memories (more on that here). All I have to say is this. Wow, what a morning. 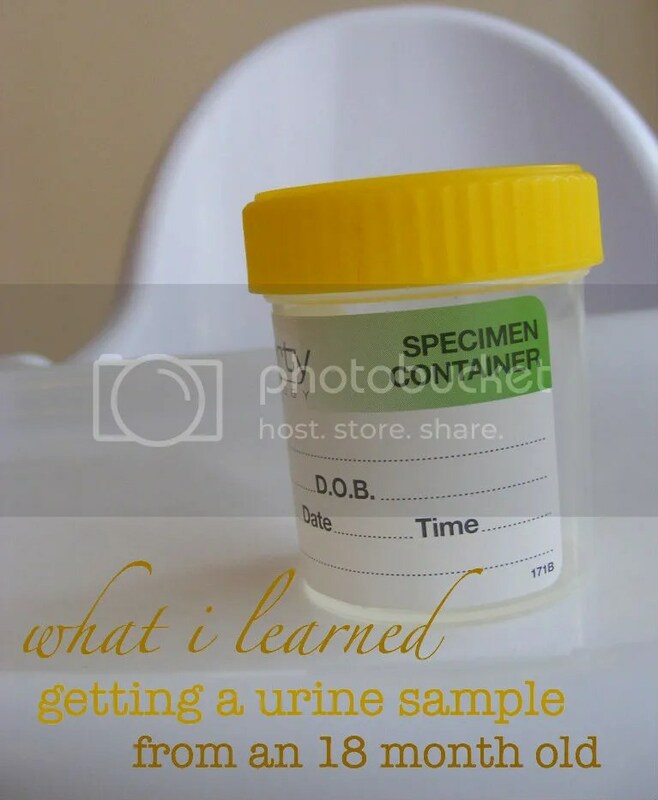 What I learned trying to get a urine sample from an 18 month old. Categories: cute moments, little girls, parenting, what i learned | Tags: what i learned | Permalink. For some reason the adult bed in the house is our hangout. Maybe because it’s comfy and my daughter likes to stand up and fall down. Maybe because I like to lay somewhere soft now and again. Maybe because I lay them on it before a shower or bath. That is when it happened. I like to put on my bathing suit and take both of them into the shower. In my mind, it helps prevent fear of water and gives them a little fun. I had the toddler and baby naked and ready to get into the shower. I walk away for five seconds leaving the baby on the bed and – you guessed it – rear escape of recently digested dinner. All. Over. The. Bedspread. Okay, I got it 50% off at an end of the year sale. But it was thick, pretty, and not dry cleanable. I learned a few things after the not-so-disastrous-but-highly-annoying-event. 1) Many of the things we get annoyed at our children for are our own faults. Baby Boy had to go to the bathroom. That isn’t his fault and actually it’s a good thing. I’m glad his system is-a-workin’. The fact that he seriously stained the bedspread is my own fault because I – the adult here – left him there. We get irritated at toddlers for going through our purses, yet we leave them within their reach. We get annoyed at repetitive disruptive behaviors, but we don’t bother correcting or disciplining those behaviors. I heard it said once that most behaviors our children have are our own faults. We are in charge of the correction, discipline, praise, punishment and rewards in the house. 2) White gets a bad rap, but it is actually much more practical. People say you can’t have white upholstery or fabrics in a house with children, but you know what? You can bleach white. You know what you can’t bleach? Teal and ivory suede. 3) It is actually always better to be safe than sorry. Sure, my comforter doesn’t really matter and I can always get a new one. Or, even if I don’t, oh well. The point is that kids are unpredictable, fast and delicate. Too close to the edge of the bed and they could fall. Don’t lock the door and they can go out the front door. I’m not suggesting being paranoid (like I am) but I always tend to operate on a “better safe than sorry” mentality and don’t shortcut. As I said the other day, shortcuts never end well. 4) I have lightened up since having children. 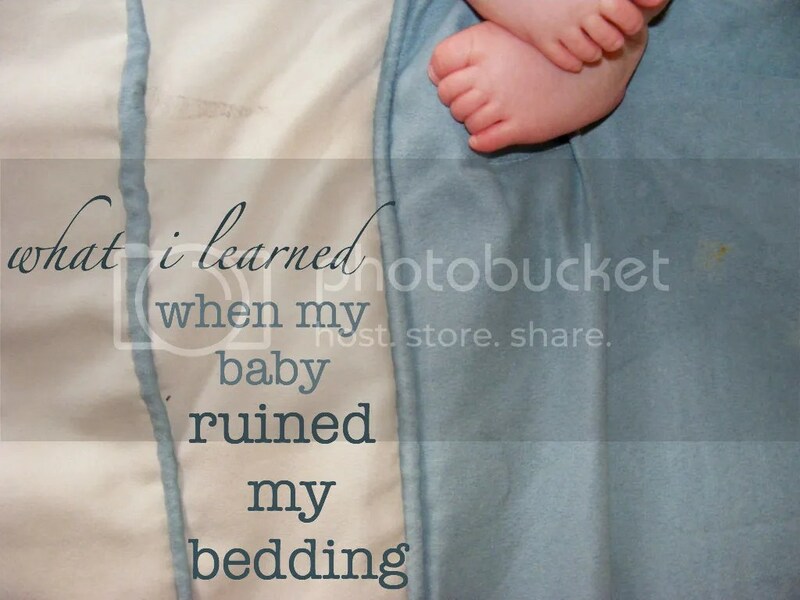 Before having children something like a ruined comforter would have made me flip out. I would have been angry passionate about the whole situation and had to take a while to calm down. After I saw the damage, because I heard the disaster from a few feet away, I just laughed. He laughed, I laughed and, well, we just took that shower we were waiting for. Life is all about the little things that become memories that become stories. Maybe I’ll find another comforter (or doona, as they call it here in Australia) 50% off here soon. And if I do, I’ll make sure it’s white. PS – for more What I Learned posts go to the Archives! Categories: cute moments, little boys, parenting, what i learned | Tags: discipline, parenting, what i learned | Permalink. Hello A Mother Far From Home readers! My name is KariAnne and I blog over at Thistlewood Farm. Thistlewood Farm is a turn-of-the-century farmhouse at the corner of where a cornfield meets a long winding country road. It is our forever and ever house. A house filled with laughter and joy. A house where games of Monopoly never end, where you can read books in the leafy branches of a treehouse, follow a winding path to create projects galore in a tiny art house and tell jokes that always end with “orange you glad you didn’t say banana.” A house with turtles and fish and dogs and cats. A house where a warm fire, a good book and a cup of hot tea are always waiting. A house for friends and family to know they are special. There are a lot of chapters in our story. This is one of my very favorites. We have a family playlist for the car. A list of songs that are true classics. Songs that have been played for years….the lyrics memorized long ago. As usual, the other day the playlist was blaring in the car…..
…..with each of us singing like an American Idol audition was just around the corner. And somewhere between “Hey now….you’re an all star….get your game on…..go play” and “It’s the eye of the tiger…..it’s the thrill of the fight”…. My twelve-year old paused the music. And looked at me with all of the earnestness a twelve-year-old boy can muster. To my credit…..I said nothing. I sat there with my hands on the steering wheel. Part of me wanting to laugh. Part of me wanting to cry. Part of me afraid to turn a look at him in case he had grown a moustache and seven inches in the last five minutes. He’s growing up this skateboarding, cup-cake-eating, wildlife-sanctuary-creator of mine. So I gave the statement all of the solemn consideration it deserved…..
…..and reached over to slowly turn back on the playlist. PS Thirty minutes later he was making a fort in the creek…..maybe his bass-singing days will just have to wait. Categories: cute moments, parenting | Permalink. 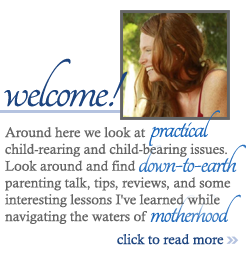 Sign up to get new Mother Far from Home articles delivered to your inbox!